It is really not long until Pancake Day! 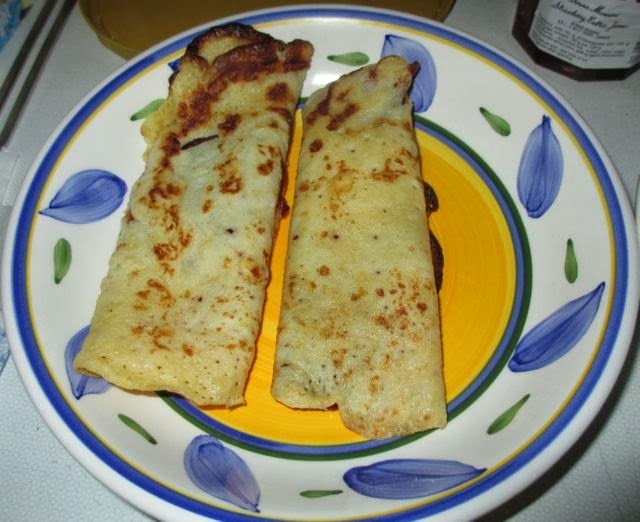 Shrove Tuesday is 4th March. 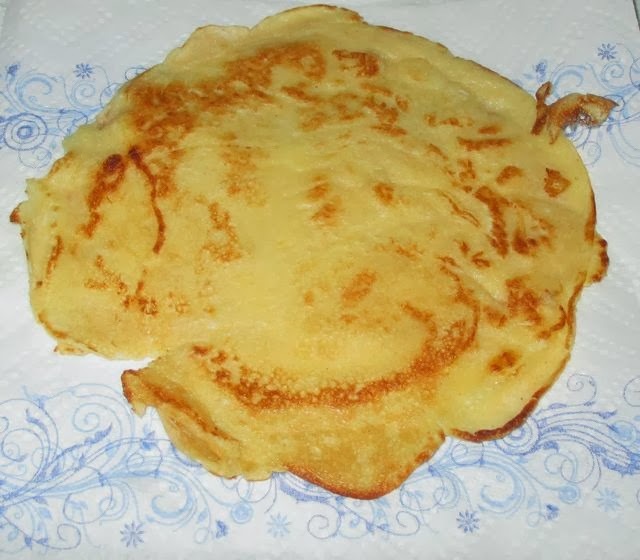 Every year we have pancakes on Pancake Day, really enjoy them, and say that we aught to have them more often. Then a year later we repeat the cycle! 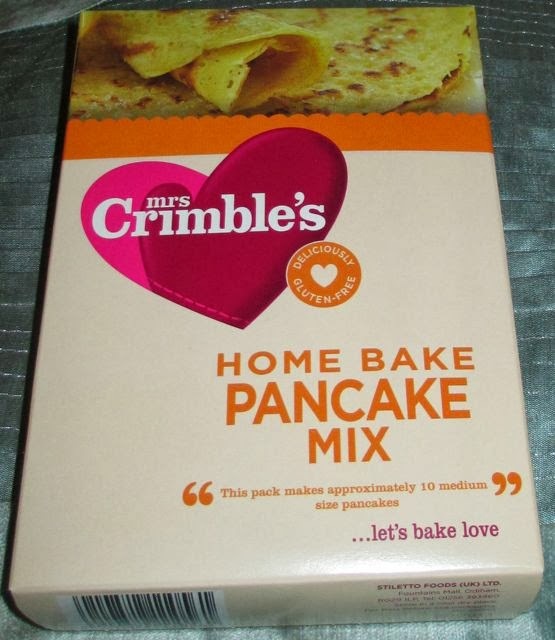 This year the folks from Mrs Crimble’s got in touch and asked if we wanted to try their Home Bake Pancake Mix, which was an excuse to at least have pancakes on two occasions this year! We gladly said yes, and wondered what their take on pancakes would be, as they are gluten-free. The box is 200g, and states that it makes 10 pancakes. We managed to make 9 from ours, but I guess it depends on your pan size. All you have to do is tip the contents of the pack into a large bowl, add two eggs and 400ml milk and whisk. You then pour just enough of the mixture into a hot oiled pan and cook on both sides until golden. From this point you can choose to go savoury and add tuna with sweetcorn, go traditional with lemon juice and sugar or my personal favourite spread them with jam before rolling! Ice-cream on top is then optional. These were easy to make, and certainly looked the part, taste wise they were spot on too. Despite the ingredients including maize, rice and potato starch they tasted just like regular pancakes. The texture was right, fluffy, but just needed a little effort to break apart with a spoon. If you hadn’t told me they were gluten-free I wouldn’t have know, so that does make them a total success. 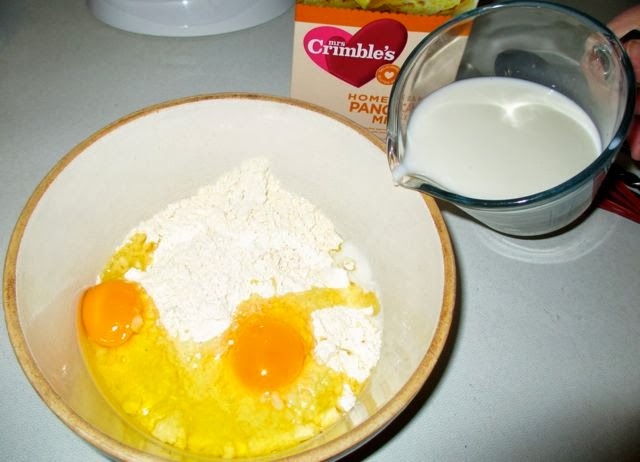 So if you or a loved one is gluten intolerant and is worried about missing out on the great Shrove Tuesday tradition, you needn’t be as Mrs Crimble’s Pancake Mix gets a total thumbs up.